So thank you Ashton and why not go and see what this generous man has been up to at A Soul driven Mind where you can learn how to find inspiration from within. Marci Wise – A bit more of a professional blog with sales in mind, but I have to say I agree with a lot of it and Marci has been good enough to respond to my own comments. Looking for enlightenment and inspiration then this is worth checking out. Thank you Marci. BrownPaperbelle – Jessica has the most adorable looking blog site and comes up with some good recipes to try. It all looks so tempting to the extent that I am inspired to get in the kitchen, and not just to eat the results of the baking. Thanks Jessica. Let it come from the heart – A blog of great pictures, fruit you feel like reaching into the screen to help yourself to eat and precious words to go with it. Inspiring stuff Aisling. 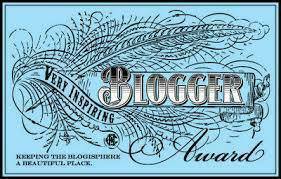 Thanks to all bloggers that I follow for sharing your own inspirations, thoughts, writings, art, photos etc. It is appreciated. Congratulations my friend. Your stories, hopes and the images you captured exudes optimism and inspiration. Thank you for sharing the award. Truly a joy and an honor. I am very moved MM. Not by the nomination, your words. The fact the you have recognized my feelings and motivation behind the images of my son, has honored not only myself, but ultimately NIco. You are a fine, enlightened spirit Sir. Your blog simply overflows with honesty and compassion. I feel lucky to have the opportunity, to experience a perspective such as yours.